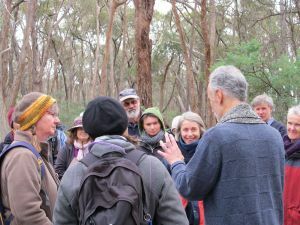 About The Session: On 8 May 2015, Alex Pannelli kindly offered his bush block in Taradale to host the fourth and final workshop in our 2015 Autumn series -‘Nature’s Stocktake’. 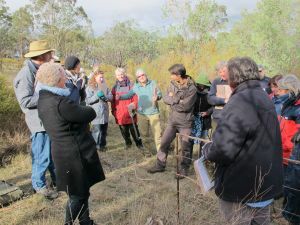 Participants visited four sites on his property, which is protected into perpetuity by a Conservation Covenant, to learn about how to measure the biodiversity changes that their restoration work would bring about. 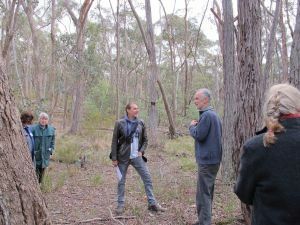 Following Alex’s compelling introduction to the site, where participants learned about his family history on the property and stories of ‘the big tree’, they walked to a nest box where Connecting Country’s Tanya Loos gave an insight into our long-term monitoring programs across the shire for birds and arboreal marsupials. 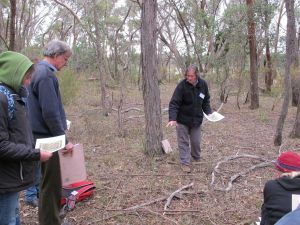 The approaches used in these monitoring programs were outlined as possible methods for participants to implement on their own properties. Next, Paul Foreman of Blue Devil Consultancy provided participants with a nuanced view of what we know as landscape health, and also useful tips and tools for conducting a desktop study. 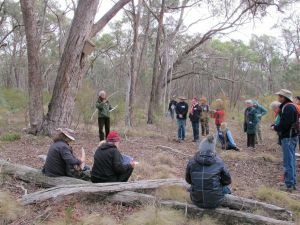 Following a warming lunch, Terri Williams from Bendigo TAFE then took participants though the percentage cover method of vegetation surveys at two sites so that people could ‘get their eye in’ and experience the process of scientific rigour. Thanks to Alex, Tanya, Paul and Terri for their contribution to an informative and practical workshop. Thanks also to Jules Walsh for her great help on the day and Alex Schipperen and Ned Brook from the Connecting Country works crew for their help with the marquee. A new monitoring topic has been established on the Discussion Forum so that the conversation and questions can continue. If you are not already a registered Forum user, you follow this step by step guide to join (click here). Or you can simply view the forum (click here). 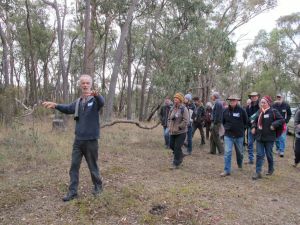 This concludes our Autumn Biodiversity Workshop series for 2015. Preliminary information about our Spring Workshop series can be found here . More detailed information about the Spring series – including registration forms – will be available soon. 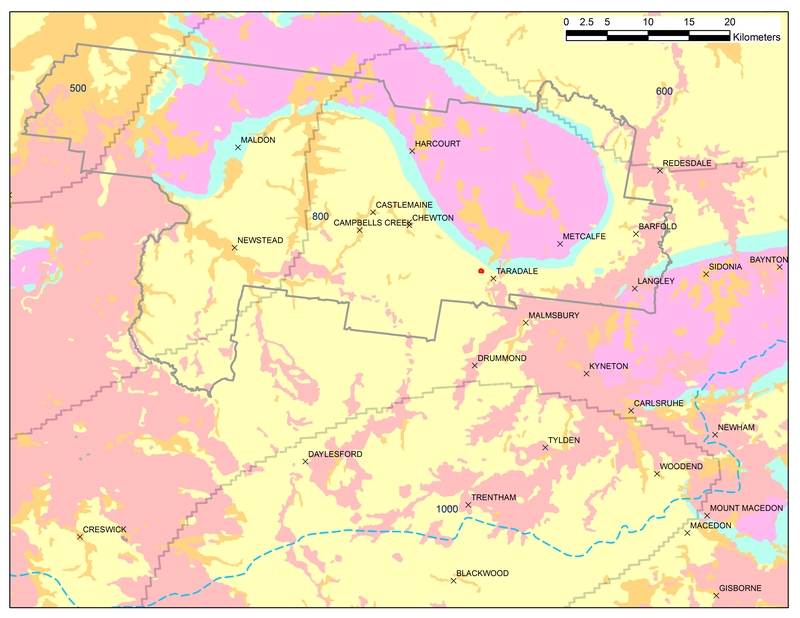 This website provides information about Victoria’s native vegetation, its management, restoration and revegetation. Florabank is assisting thousands of people every month who want to collect seed, propagate, grow or use Australian native species. Florabank is an initiative of the Australian Government, Greening Australia and CSIRO. Greening Australia has been funding Florabank since mid 2008. 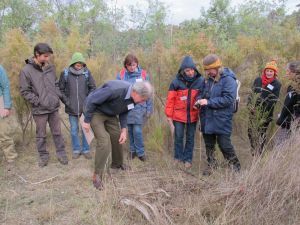 Species Navigator is a unique tool which brings together biophysical and ecological information about species – information which is not easily found – into an interactive key. Around 20 of the top 25 Florabank webpages accessed per month are Species Navigator Fact Sheets, and well over 6000 Fact Sheets are accessed every month. 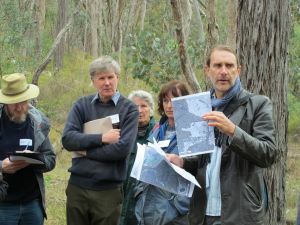 http://www.depi.vic.gov.au/environment-and-wildlife/biodiversity/biodiversity-interactive-map – Biodiversity Interactive Map (BIM) is an easy to use tool to display and produce maps of Victoria’s biodiversity, native vegetation, flora and fauna data. An alternative to efarmer for showing EVC information. Richardson, Richardson & Shepherd (2011) Weeds of the South-east, National Library of Australia. 2nd edition. The Field Guide to the Birds of Australia, Graham Pizzey and Frank Knight. Field Guide to the Birds of Australia, Ken Simpson and Nicolas Day. Birds of Australia, S. Breeden and P. Slater.